This is a square North Western Coal porcelain sign. This particular North Western Coal sign is white with black print. 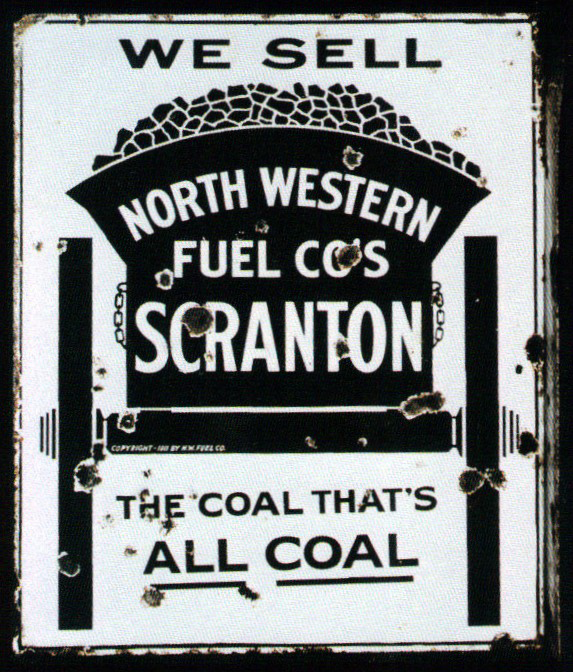 It reads, “We Sell North Western Fuel Co’s Scranton, The Coal That’s All Coal” and features a wagon carrying a mound of coal.